On Sept. 13 we observe a Day of Action for Central American Refugees & Migrants. 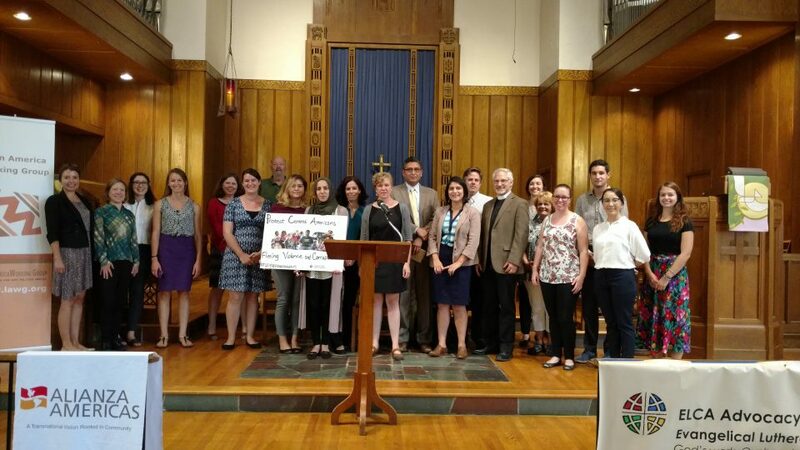 During a gathering at Lutheran Church of the Reformation in Washington, D.C., faith, community and migrant rights advocates called on the Obama administration to stop detaining and deporting families and children fleeing poverty, violence and corruption in the Northern Triangle of Central America. Click here to learn how you can participate in the action efforts. This day of action is in advance of the Sept. 19 U.N. summit on addressing large movements of migrants and refugees. Following this summit meeting, President Obama will convene a leaders’ summit on the global refugee crisis on Sept. 20. On Aug. 10, voting members of the 2016 ELCA Churchwide Assembly passed the AMMPARO strategy to address the root causes of migration and protect children and families displaced from their communities in Central America. Hill Buchbinder is the ELCA public relations manager.